The actor says instead of helping young women who want to succeed in life, men in power are taking advantage of them. 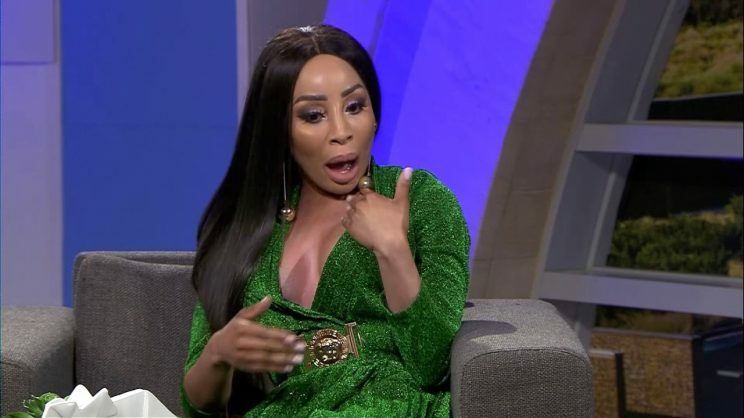 Actor and TV and radio personality Khanyi Mbau received praise for her words of wisdom following last night’s episode of The Big Debate. Among other topics, the episode explored how political parties had turned to using attractive young women in their election campaigns in a move that has been highly criticised. It questioned if these women campaigned for parties because they truly believed in their values or if they went where the money was, a question that was also posed to Mbau, who is an ANC supporter. In her response, Mbau said she found being labelled as an original slay queen “really sad” because she came from a generation of driven people. Though she was an ANC supporter, Mbau said there were some things that needed to be revisited, regarding values, because of the society that looked to abuse its powers instead of helping those in need. She said the problem was that, instead of helping young women, men in power were abusing their power, and unfortunately, the women took the bait because they wanted to “make it” and show it to the world through social media. Their desperation, according to Mbau, had reached a level where they would even sleep with these men for the money and publicity. She said: “Unfortunately, we belong to a society where those in power take advantage of that because they have the resources and they see the hunger in young women such as myself, they then take that and abuse it and obviously women will take the bait and run with it because they want to make it. “Men in power at the moment are those that run the castings, that run the jobs, that have the opportunities to give them the mileage and visibility and in this country, unfortunately for the millennia, it’s about being famous and being seen on social media, and the more numbers that you have and if any man comes to you and says, ‘I’ll give you R50,000 for you to be a part of this campaign’, they’ll do it regardless of whatever it means, but if it also means I’m sleeping with them, girls will do it because young women want to make it. I peaked too soon for this country. I was the sacrificial lamb!! Her response was celebrated both in studio and on social media by those who said she had highlighted one of the biggest problems in our country and also called for something to be done about it.